Iriminage (entering body throw) is the quintessential Taikyoku Budo technique because every technique in Taikyoku Budo begins with irimi. Irimi is the principle of taking space, displacing one’s opponent’s body with one’s own. Iriminage is a stylized throw that is the physical manifestation of this principle, but, with proper physical and mental organization, all body throws essentially become iriminage, ie a throw resultant from irimi. In this image, we see Reyadh applying osoto gari (large outer leg reap) on Paolo. One way to think about osoto gari is that it is iriminage with a leg sweep. 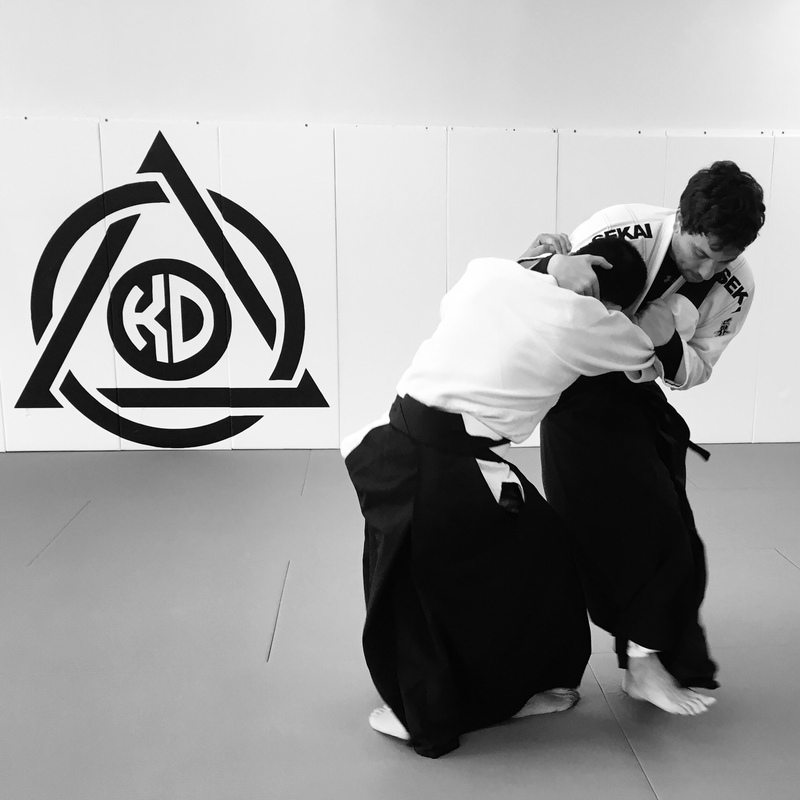 This is especially useful when uke (the person receiving the throw) tries to counter tori (the person applying the throw) with irimi of his own, in this case by turning into tori and applying an underhook. The leg sweep is a great way to counter this counter, such that partners exchange irimi until one is finally thrown.